Get Gift Cards for Referring Your Friends to Use ShoppingNotes.com! It’s the holidays! ShoppingNotes.com is kicking off a Friend Referral Program — now you can get Amazon or any electronic gift cards of your choice simply by referring friends to use our price alert service. We’ve made it super easy and it takes less than 2 minutes (see official rules here). If you are an existing user or have received the email invitation to this Program, start inviting friends NOW and save big money together. Otherwise, to participate, set at least one price alert on the products you want to buy using our front page or the “Save to My Shopping Notes” button, and you will receive an invitation by email, subject to availability. Also your favorite Christian Louboutin or Prada can go on sale any minute now. Don’t forget to come to ShoppingNotes.com to set price alerts on the products you’ve been longing for! Special thanks to one of our users for notifying us of this issue! Please continue to let us know any problems or suggestions you have about ShoppingNotes.com. We appreciate your support. Summer is here and lots of sales are going on right now. So head to ShoppingNotes.com to set price alerts on the items you’ve been coveting and start saving big money now! Thank you, Editors! We appreciate your help in spreading the word about us. If you ever want some Jellybeans, please do let me know. A big thank you hug also goes to all our users for giving us suggestions, sending us bug reports, and helping us grow. We always read every email and respond as fast as we can. Please continue to support us and let us know your thoughts on how we can improve! 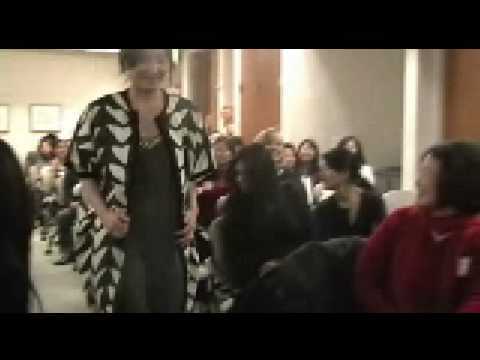 As promised, here’re the videos from “Fashion Goes Web 2.0″ Let us know if you want to be invited to one of these events next time – this time the event was completely sold out and some people that came all the way from Fresno had to be turned away. So get in the line early! Tell us who your favorite model is!!! Want to save more money this holiday shopping season? Visit ShoppingNotes.com today and set price alerts on everything you’ve been longing for since the beginning of the year. Whether it’s Anya Hindmarch or Christian Louboutin, you’ll be the first to know the minute it goes on sale. Now is your chance to grab it before anyone else! We’ve also added Hot Deals of the Week to our front page to help you find the best deals online. Each week we will feature thousands of sale items, with many of them 50% off. Among this week’s hot deals are Vivienne Westwood, Theory, Tory Burch, Cole Haan, True Religion, and lots more. So check it out and take advantage of these deals this holiday season to give gifts in style without hurting your wallet! Happy Holidays and have fun shopping! First, go to the product that you want to watch price on (for example, Mario Kart Wii with Wii wheel), copy the URL. Then, go to ShoppingNotes, paste the URL into the top box. Enter your email address in the box below. Click on “Get Alerts“. If you’ve never used ShoppingNotes before, you’ll receive an email requesting email verification. Open up that email, click on “Activate Alerts“. Once you do that, you’ll see the product image, description and price retrieved for you. This demonstrates that we can successfully retrieve the information from the URL link you’ve provided. You can be certain that any price change will be monitored and you’ll be the first one to know! Please note that the URL you enter needs to be the URL of one particular product (not the entire TV section of bestbuy.com), and it needs to have a price listed on that product page (otherwise there’s no way for us to watch its price change). To save the hassle of copying and pasting URLs everytime, you can install the Shoppingnotes bookmarklet and set price alerts using the bookmarklet following these instructions. I’m using this post as a central location for all the FAQs I’ve written. Once you install the ShoppingNotes bookmarklet on your browser’s toolbar, you can save any product into your ShoppingNotes in just two clicks. If you haven’t already signed in, you’ll see the screen below. (For those who don’t have a ShoppingNotes account, we encourage you to sign up for one. It only takes 30 seconds, and gives you the benefit of accessing your ShoppingNotes from anywhere. If you click on “Continue without Signing Up” , you’ll be able to save the product into a temporary account, which resides only on this computer you’re using now). After you’ve signed in, you can save the product into your personal ShoppingNotes by clicking on “Save”. I usually do two things before I click on “Save”, first is to click on the radio button next to “Alert me whenever the price changes” (so I’ll get an email when price changes), second is to select the list that I want the product to go under and click on “Add” (this makes my life easier since I have a lot of products in my ShoppingNotes). Once you click on “Save”, the product (image, description, price and link) will be saved into your ShoppingNotes in a few seconds. Now you can either go take a look at your ShoppingNotes by clicking on the “Go To My ShoppingNotes” button or just sit back and let it automatically go back to the original product page you were on. This is how your ShoppingNotes will look like after you’ve saved this product. The product you just saved is on the very top.